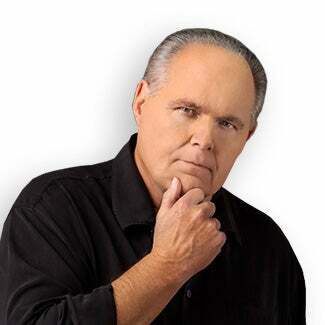 RUSH: I think the Russians found a way into my laundry. I got in bed last night, and the pillowcase and the sheets had the strangest smell to ’em. I still don’t know what it was, and now I can’t get that smell out of my nose, and I can’t get that smell out of my mouth, and nothing tastes right. The air doesn’t even taste right, and it has to have been the Russians have gotten in there somehow. RUSH: Have you ever had this happen to you? It’s the strangest thing. Well, I hope it’s temporary, hope it doesn’t last. Greetings, my friends. Open Line Friday here we are, telephone number: 800-282-2882, if you want to be on, you can talk about whatever you want today. Email address: ElRushbo@eibnet.us. Ah, damn, so you’re out there on an island and everybody thinks you’re nuts. The cigars didn’t taste right either. Nothing tasted right this morning. You know, it may be one of the best enforced diets that you could ever come up with is that nothing tastes good. Anyway, I just hope it’s only temporary. It has not affected my mood. I am a rigorous professional in that regard, no distractions whatsoever. So I got a note today from somebody. 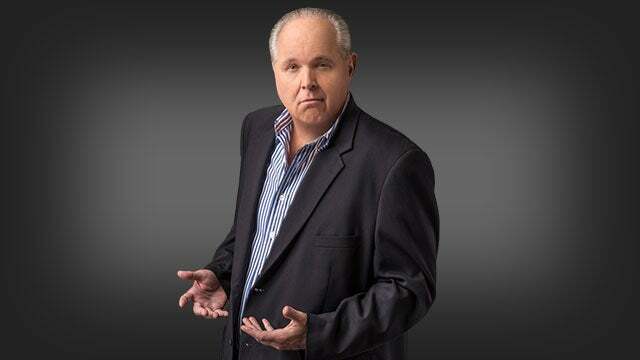 “This is one of these days, Rush, where I really, really appreciate what you do, because to me this is a slow news day.” Does this seem like a slow news day to you? Well, let me explain. He sent me a note here, and the reason he thinks it’s a slow news day is there’s so much repetition. A bunch of preexisting stories that are just being recycled, such as the Mueller investigation, whether or not Matt Damon’s moving to Australia, will Trump make another staff change, who is or who isn’t getting fired in the White House, what’s Anderson Cooper gonna do now that Fredo Cuomo’s taken his show at CNN at night, Vanessa Trump divorcing Don Trump Jr. The media just can’t leave people alone. 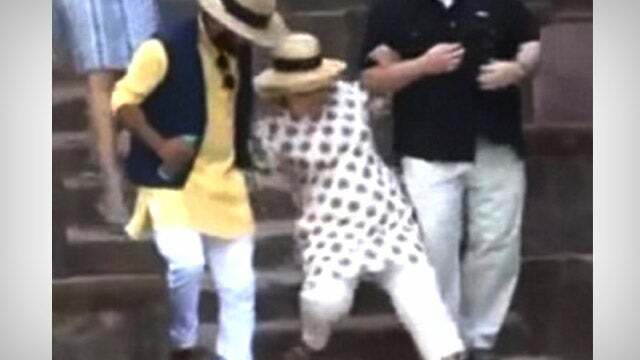 Hillary now broke her wrist. Did you know this? She’s in the hospital. That’s not where she broke the wrist. She broke the wrist in a palatial bathtub in a five-star hotel suite somewhere in India. That woman is not right. Something is really off center with Hillary Clinton, and we are fortunate that she did not make it. We are really, really fortunate because this woman is not all there, folks. And that’s being kind about it. And now the Democrats are — can you imagine this gigantic fall from grace? The Democrats are now almost in unison telling her to shut up and go away. And they’re getting close to treating Pelosi the same way. But, you know, that works two ways. Go back — well, not even a year. Go back nine months. No, let’s do go back a year. Go back a year and then go back nine months and think about what was happening one year ago. What was happening one year ago was that everybody was touting this new level of power in Washington the Republican Party had achieved after the election. The Democrats were losing seats left and right. The Democrats were in a state of total disarray. Trump’s victory had discombobulated them. The Democrats had not been this weak in terms of political power since 1928. You remember that being bandied about? The Democrats’ strength and power in Washington hasn’t been this insignificant since the 1920s. And then people said, “Look at all the seats in the Senate the Democrats have to defend. The Democrats have to defend 25 seats, and a lot of those seats are in states that Trump won by big numbers. The Republicans only have to defend six or eight seats.” In other words, a year ago we were being told that it is curtains for the modern-day Democrat Party. Now, look at how much that has changed in actually less than a year. Now after the Democrats won an election in Pennsylvania, now it’s over for Trump, there’s a blue wave coming, the Republicans don’t have a prayer of holding the House. That means that Trump is gone. He’s going to be impeached. The Democrats are already working on impeachment proceedings. The Trump presidency thus is going to end by the end of this year, because the next two years the Democrats in the House are gonna be doing nothing but investigating Trump and investigating everything the Republicans did legislatively and trying to cancel it out, from the tax cuts to getting rid of all the regulation. Look at how, in under a year, the political circumstances, the political situation in Washington can go out of phase by 180 degrees. And then you have to ask yourself, is it real? Was it real a year ago that the Republicans were on the verge of dominating Washington for the next three years because Trump — well, next four, actually — with Trump’s presidency and the Trump agenda was gonna continue to marginalize Democrats. Now, the investigation — the special counsel had not been named a year ago about now, but still the Democrats were going crazy, and the media was going crazy trying to get rid of Trump. In the midst of all of that, the conventional wisdom was that it was over for the Democrats and they had big trouble ’cause they didn’t have a bench, they didn’t have anybody who was gonna run for president that could beat Trump. And now look. It’s not even been a year, and everything is upside down. And now it’s the exact opposite. The Republicans are finished. There is a blue wave coming that nobody can stop. And this blue wave is coming, nobody can tell you why, other than Trump is hated and despised. And I think all of this is another of many illustrations of how the media is not media, because none of this is news. All of this has been brought to bear by virtue of fake news, by virtue of the media participating in advancing a Democrat Party agenda under the guise of doing news. Not to mention they would spend the whole two years impeaching the guy. “First, Republicans must evaluate what went wrong in Pennsylvania. This was an easily winnable district. Our candidate was not that much weaker than the Democrat… The biggest surprise to me was that the tax cut message was not more effective.” Newt! I’m sorry. I’m not yelling. What we’re up against with the tax cut message is about six months of media lies about it, that it was gonna raise taxes on people! The idea that this tax cut only had 30% support at the beginning? How is that even possible? The only way it’s possible is the media was lying to people, that taxes for 80% of the American people were going up and that the only people getting a tax cut were the rich. You can find on any blog you want, people who to this day — even after the results are in — believe that. It’s not enough to pass the legislation! You’ve got a whole media apparatus (which is essentially the Democrat Party) running against you, lying about your achievements, lying about your ideas, lying to people about what this tax cut is. That’s why “the tax cut message was not more effective.” We haven’t even dealt with the problem. The problem the media has been lying about it. We simply look at the polls and we see support for the tax bill gaining a point a week or two points a week and we think we’re making progress. “Second, Republicans must understand that if a wave is building, money loses its power to solve problems. The Republicans outspent the Democrats in Pennsylvania by a huge margin.” When did this wave start? Folks, I didn’t prep this, meaning I didn’t go back to find examples of the news a year ago, but I’m telling you. You remember! The Republicans had never had this kind of power; the Democrats were looking at being out of power for who knows how long. Trump’s election and the Republicans and he swept to victory — coupled with the Democrats having fewer seats in the House and the Senate since the 1920s — was spelling doom and gloom knot Democrats for the next eight years, two terms of Trump. We’ve gone from that to now the elections in November are over and the Democrats have won, that there is a blue wave, and we’ve even got Republican consultants on TV, Newt, smiling about it. We got Murphy; we’ve got McKinnon. They’re smiling about it as they make this prediction — and they’re all over CNN, and Dan Senor is joining the group. I know the conventional wisdom is there’s a blue wave coming; the Democrats have won. But would somebody tell me what’s happened in the last nine months to make that happen? We got the tax cut passed. There have been deregulations upon deregulations taking place. We’ve got consumer confidence at all-time high. People have more take-home pay. They’re getting bonuses. We’ve had substantial increases in the quality of life. New jobs are being created. Manufacturing jobs with coming back. What happened to create this blue wave? Where is the substance behind this prediction? Oh, no. I know. I know. Trump hatred. The media has succeeded in making a bunch of people that like Trump hate him and, by extension, hate the Republicans? And I know Facebook and Twitter are eliminating conservative businesses and sites from their domains. I know all about that. I know the left is on a full-court press to eliminate as much conservatism from media as they possibly can, and I know that this investigation of Trump is one drumbeat of negativism after another. And the only news people see is how much Trump is hated. But how did this get us to a blue wave where we’ve lost the House already? Why do so many people want to accept the fact that in March we have lost in November? CARVILLE: You gotta realize the Democratic Party has the least amount of power that you could imagine in this democracy. The Republicans have like 30 state legislatures, Governors, we’re going to lose the fed – the federal courts the Senate, the House, the presidency. I mean, it is a utter disaster if you’re a Democrat in terms of having any political power in the country right now. RUSH: Right. That was election night. That’s when they realized that Trump’s gonna win and Hildebeast was gonna lose. And that kept up for months. Remember? Paul Ryan and all these people that didn’t think Trump was gonna win, they would trudge to the microphones and start singing Trump’s praises and how we owe it all to Trump and the Republicans picked up seats, they had a bigger majority than they ever dreamed of having. In fact, if you want to know the truth, the Republicans didn’t expect to win! Everybody thought Hillary was gonna win. And Paul Ryan and his gang thought they were gonna be the minority. They weren’t even prepared to lead or govern! And they had to do a quick 180. Everybody was just taken totally aback. And even Newt Gingrich in this era was talking about this new power and how weak the Democrats were. I know you remember this. And now look. It hasn’t even been a year. I know this is election night 2016, but remember that went on for three or four months. It hasn’t even been a year, and now that may as well not even have happened. If this keeps up, Trump’s victory is gonna end up being nothing more than some oddball aberration that really was the result of the Russians cheating. Trump didn’t really even win. And that means the Democrats didn’t really lose. That all of this since election night 2016 has essentially been a mirage that’s gonna be corrected. And I’m just asking you, how can this great a reversal actually be real? I’ll bet if I started randomly taking phone calls here, my guess is that over half of you would think that it’s over, that the Republicans are gonna blow it in November, that Trump’s doing some stupid things that are not helping, because the power of the media to bend and shape minds is undeniable. But I’m having a tough time believing that we’ve gone from James Carville sounding despondent to where we are now, and the Democrats have only won one election, House special election. They’ve won some others, but where is this wave? Is it in the Trump approval numbers? Is it in the Trump hatred numbers? Where is this wave? Somebody just said there’s gonna be one, and, oh, okay, there’s gonna be a blue wave. Don’t fall prey to it. NY Post: Vanessa Trump Files for Divorce from Donald Trump Jr.